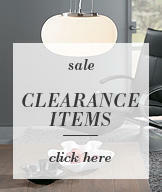 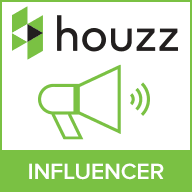 Looking to add an extra splash of elegance to your household? 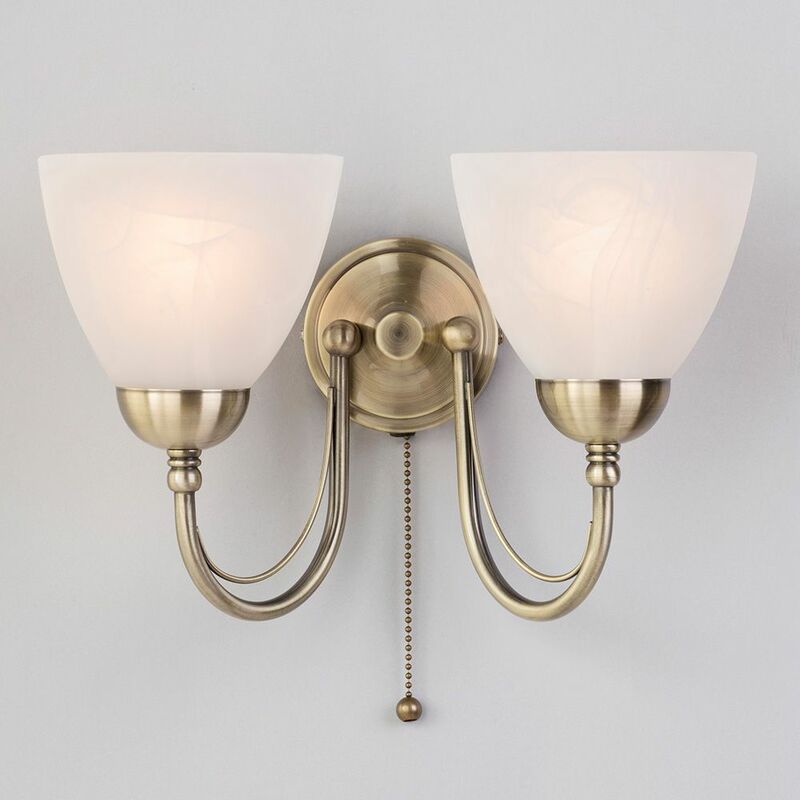 Why not get yourself some classy new wall lights like the 2 Light Barcelona Wall Lights with an Antique Brass finish? These twin wall lights are a great way of adding an elegant tone to any room, making them a superb way of making a change to your interior without having to reimagine your entire décor. 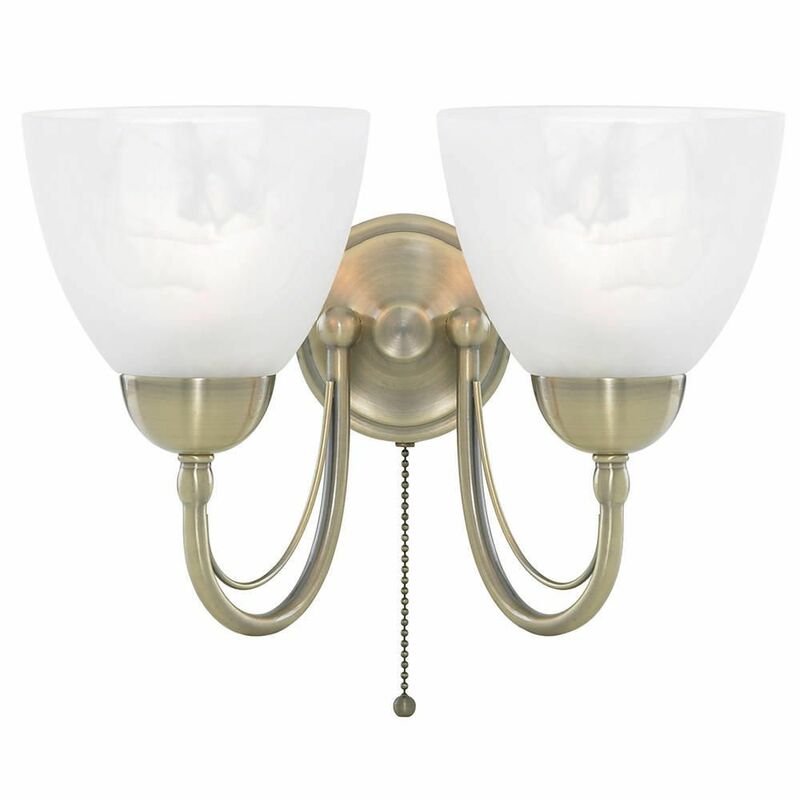 The antique brass finish adds a very classy, vintage image to this piece, which again contributes to the classic and elegant theme that is apparent throughout this whole fixture. 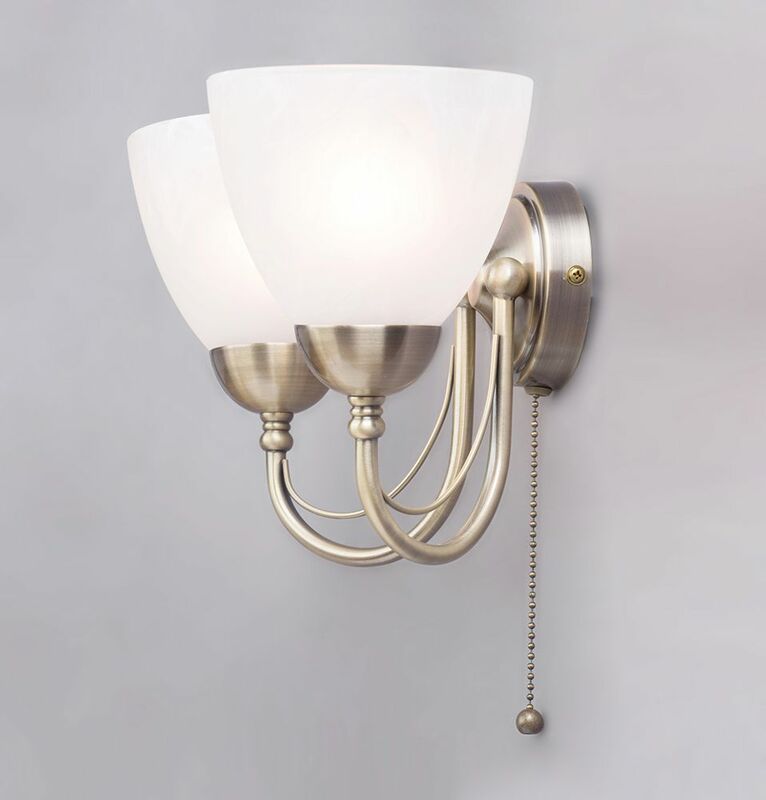 The structure features 2 stunning curved arms which bend upwards to present the fabulous alabaster glass shades. 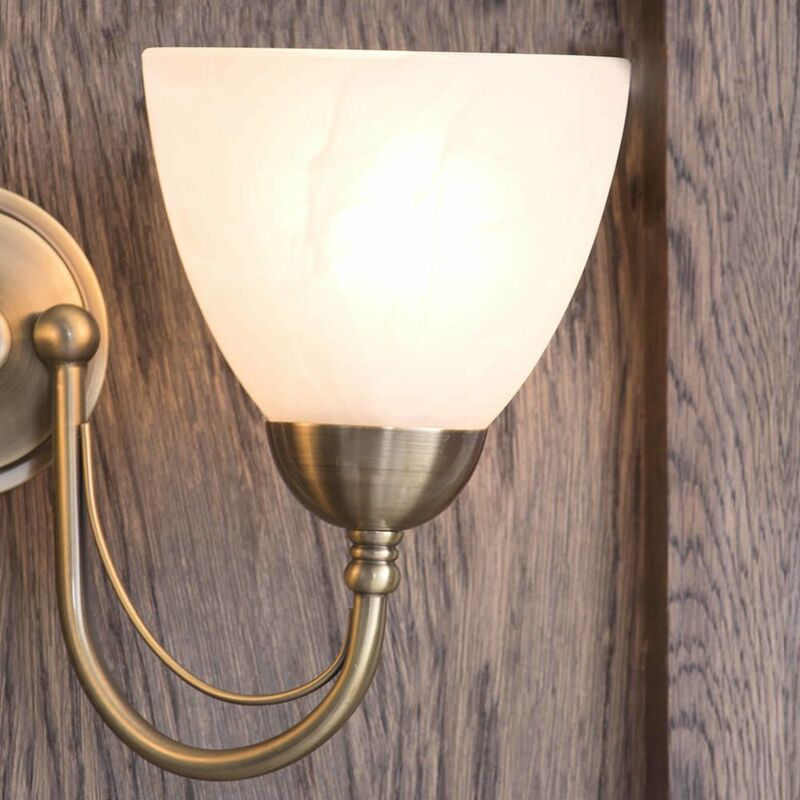 Along with all of these brilliant features, you also get an added sense of functionality with the use of the pull cord on/off switch, which means using these wall lights is easier and simpler than ever. 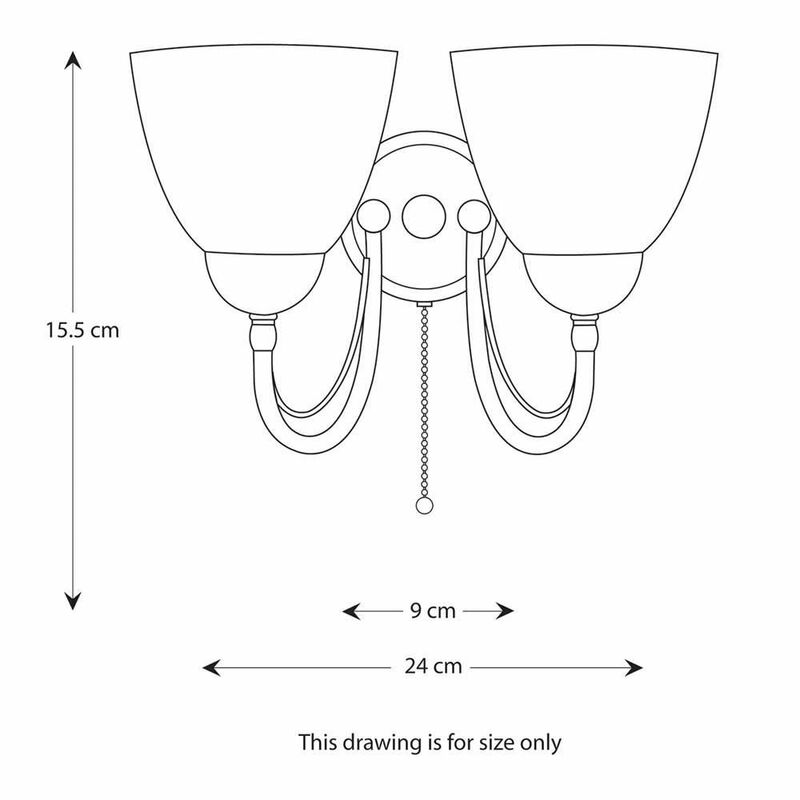 A: The Barcelona range is dimmable when used with incandescent bulbs. 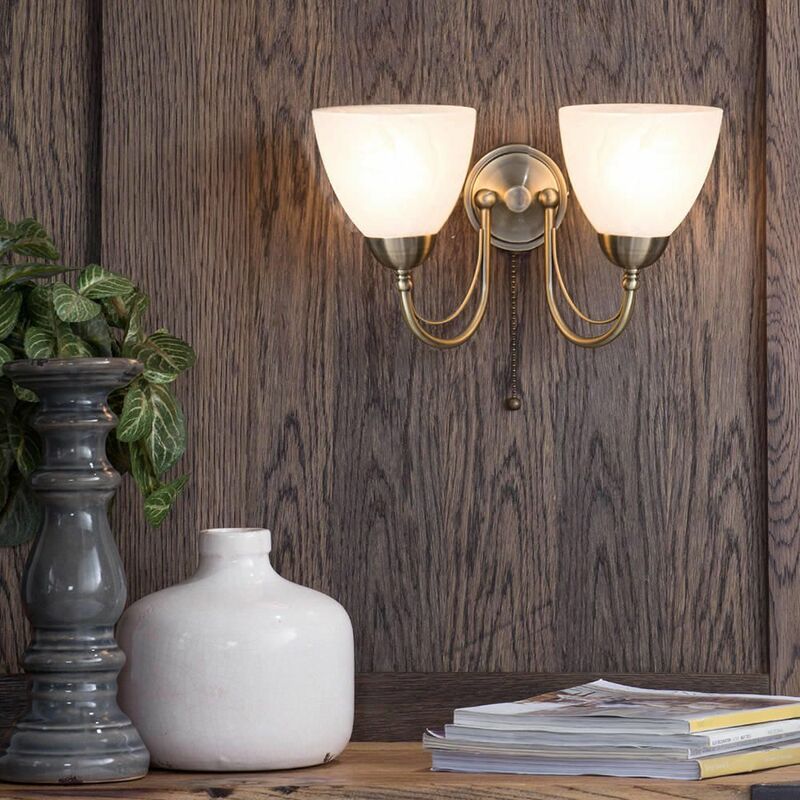 The Litecraft LED Barcelona range is not currently dimmable but as technology advances we do hope to be able to supply dimmable LED bulbs which are compatible for use with the Barcelona range.